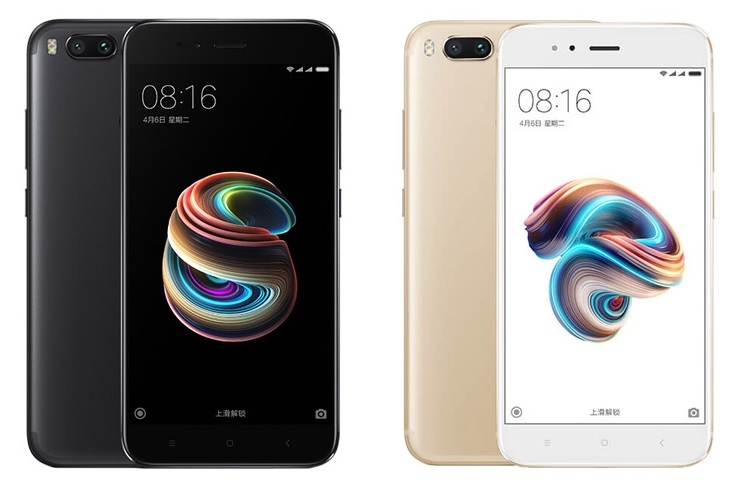 Xiaomi has launched a new cheaper variant of the Mi 5X smartphone in China. The new phone comes with 32GB storage variant and has been priced at CNY 1,299 (roughly Rs. 12,500). The smartphone will be available in Black, Gold, and Pink color options. The 64GB variant of Mi 5X was launched last month in China with a price tag of CNY 1,499. Besides the storage and RAM, all specifications of both handsets are same. The handset has been made of a full metal body with rounded edges. It sports a 5.5-inch full-HD LTPS display and is driven by a 2 GHz octa-core Snapdragon 625 processor and Adreno 506 GPU. The RAM is 4GB and internal storage is 32GB which is further expandable up to 128GB via a microSD card. The operating system on which the Mi 5X runs is Android 7.0 Nougat with MIUI 9 on top. The phone comes with dual rear camera setup, both 12 megapixels, but one features wide-angle sensor with f/2.2 aperture and another telephoto sensor with f/2.6 aperture. On the front, there is a 5-megapixel camera enabled with real-time beautification. Fingerprint scanner also sits at the back of the phone. It is a 4G VoLTEenabled device and other connectivity options include dual-band Wi-Fi 802.11ac, Bluetooth, GPS/ A-GPS, and USB Type-C port.